"From Outlandish to Everyday: Exploring Addiction." Image by Kiley Price. United States, 2018. 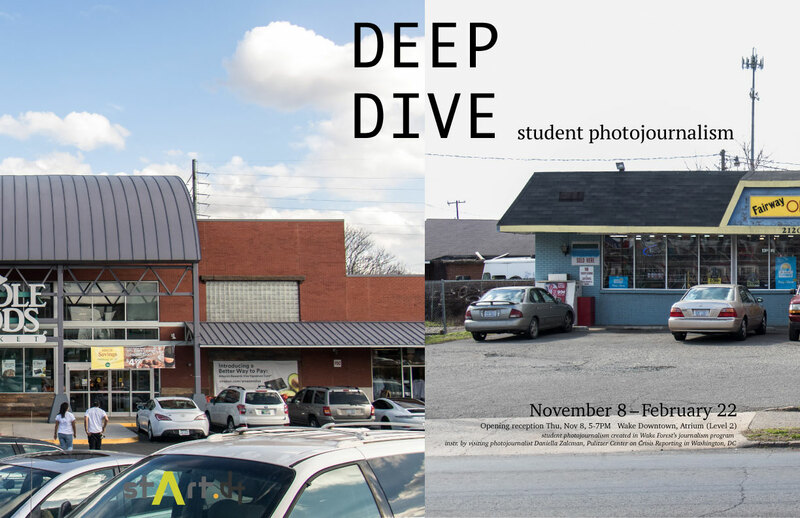 From Thursday, November 8, 2018 to Friday, February 22, 2019, at Wake Downtown, students from Wake Forest University display their photo essays developed out of their "Deep Dive in Photojournalism" seminar with award-winning photojournalist Daniella Zalcman. "Deep Dive in Photojournalism" was a four-part mini-course in spring 2018, taught by Zalcman and developed in partnership with the Pulitzer Center and Wake Forest University journalism faculty Justin Catanoso and Phoebe Zerwick. Wake Forest University is a Campus Consortium partner. Zalcman has received Pulitzer Center support for several projects including her reporting on forced assimilation education for indigenous youth and intergenerational trauma. The exhibit opens with a reception on Thursday, November 8, from 5-7pm.